SERIOUSLY POWERFUL SOUND – With HD55, you’ll feel as if you’re at a live concert, with clear high notes, deep bass and 360° true HD sound. 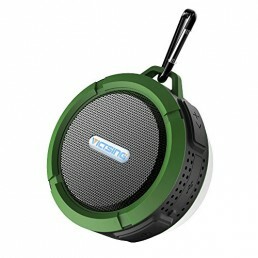 This advanced Bluetooth speaker has the latest state-of-the-art double 12W drivers and double bass radiators. PARTY AND WORK TOGETHER – You can take your HD55 with you anywhere, so the party never needs to stop. The indoor / outdoor sound mode keeps the bass heavy inside, and the outdoor mode emphasises the high notes to keep the music crisp above background noise. The water resistance IPX4 means it’s splash-proof, and so perfect for pool parties! But you could also take it on a bike ride, a country walk or just for a day in the office. MAKES MUSIC LAST & LAST – You’ll get 10 hours from the built-in PlayXTend 4000mAh battery. Enjoy endless tunes from any of your devices and favorite streaming services, including Spotify, Amazon Music, Apple Music, Google Play Music, and many more. SERIOUSLY POWERFUL SOUND: With HD55, you will feel as if you are at a live concert, with clear high notes, deep bass, and true HD sound. 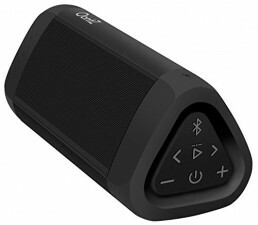 This advanced Bluetooth speaker has the latest state-of-the-art double 12W drivers and double bass radiators. 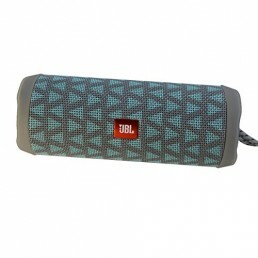 PARTY AND WORK TOGETHER – The indoor and outdoor sound mode keeps the bass-heavy inside, and the outdoor mode emphasizes the high notes to keep the music crisp. 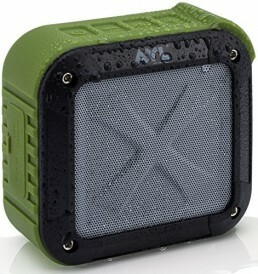 The water resistance IPX4 means it is splash-proof and so perfect for pool parties! MAKES MUSIC LAST: You will get 10 hours from the built-in PlayXTend 4000mAh battery. Enjoy endless tunes from any of your devices and favorite streaming services, including Spotify, Amazon Music, Apple Music, Google Play Music, and many more. 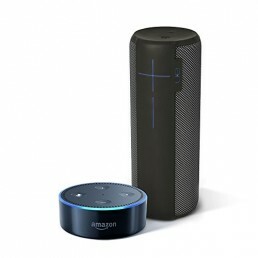 EASILY PAIRS WITH ANY GADGET – It takes just seconds to connect the speaker via Bluetooth or AUX with any smartphone, tablet or laptop (including iPhone, Android, iPod, iPad, Mac and PC). Clear controls and instructions make it easy to use even for kids. LIFE IMPROVING BONUSES: Make and control calls with built-in speakerphone. Change up the look with two sets of washable speaker covers in black and red. A handy water-resistant bag is included. Easily fits into bicycle and backpack cup-holders.